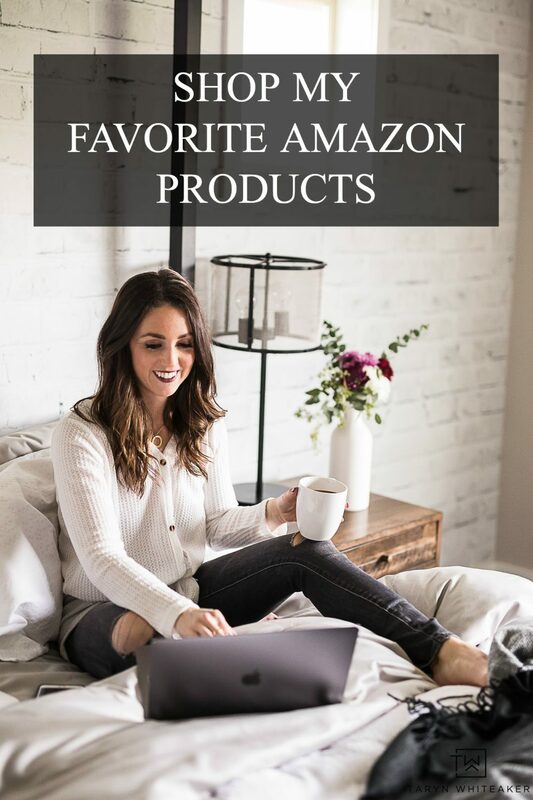 Disclosure: This post is sponsored by JOANN, all opinions and creative content is my own. It’s almost Halloweeeeen! I’ve decorated more for Halloween this year than ever before. And I have to admit, I am sorta loving it. 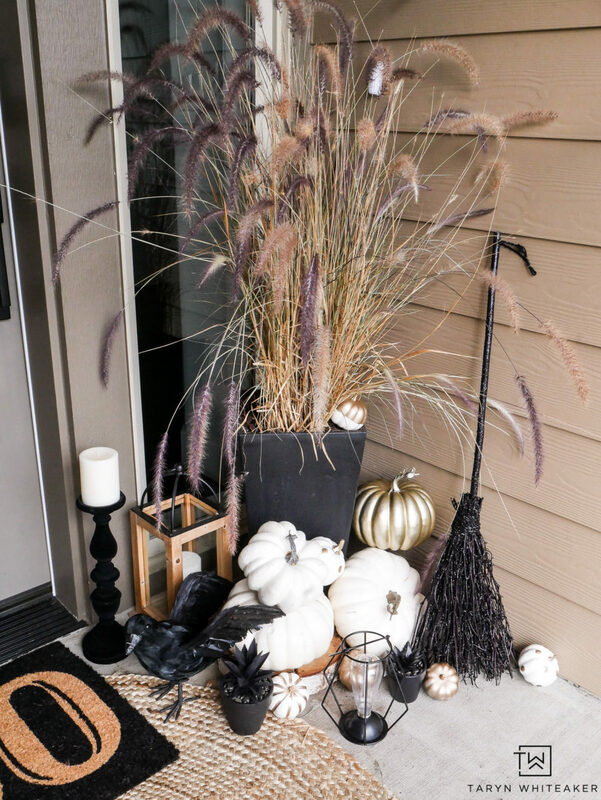 Over the past few years the kids keep asking why we don’t have more Halloween decor up and they definitely got their wish this year! 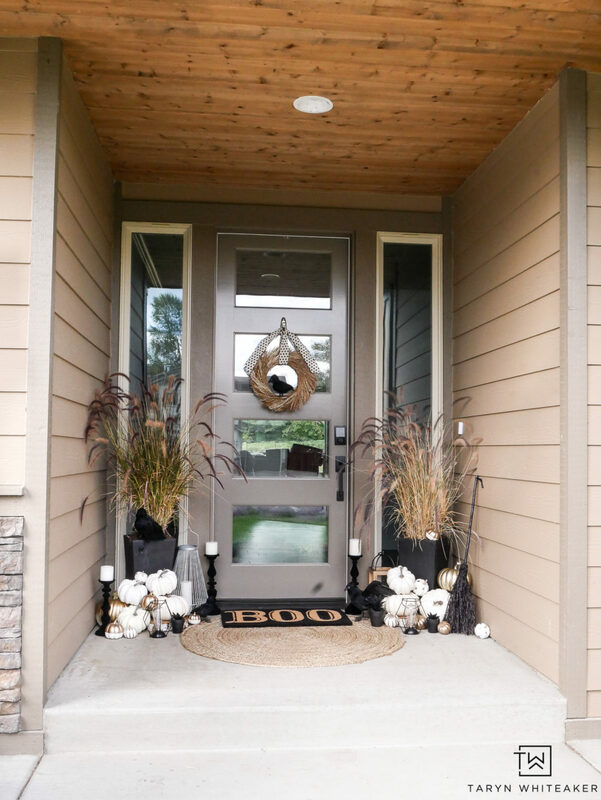 A few weeks ago I shared my fall porch and I made just a few changes to completely transform it for the upcoming holiday. 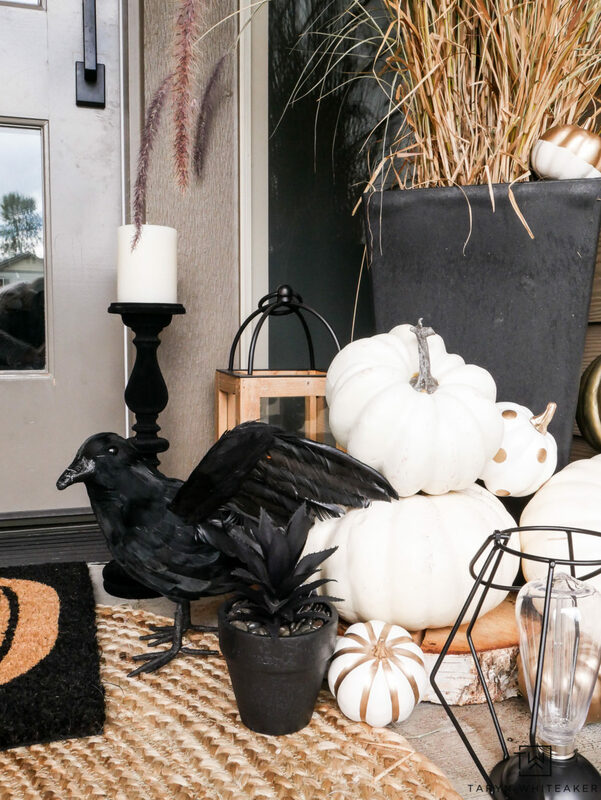 I headed to JOANN Stores and gathered tons of cute and classy Black and White Halloween Porch Decorations and I think it turned out super cute! 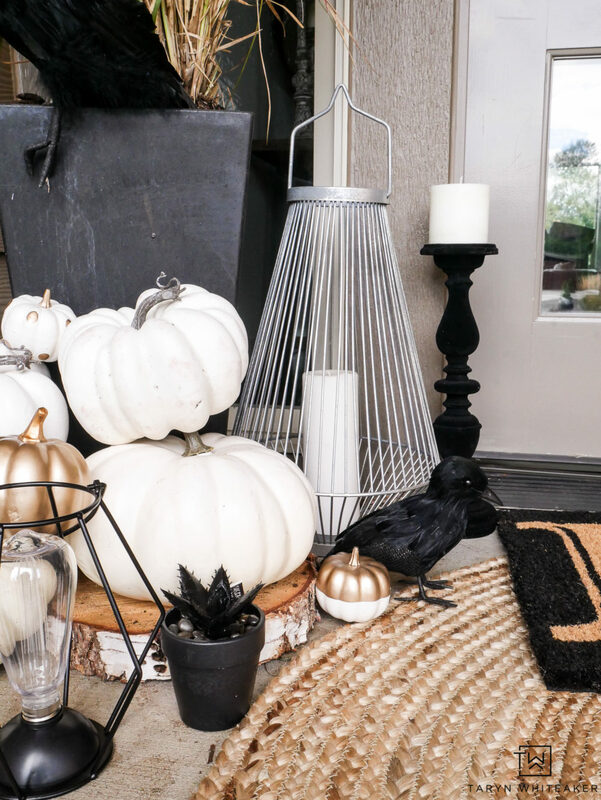 One of the things I want to talk about today, is how you don’t need to completely create a brand new porch design for Halloween, you can simply switch out a few items to transition it from whimsical fall to Halloween. 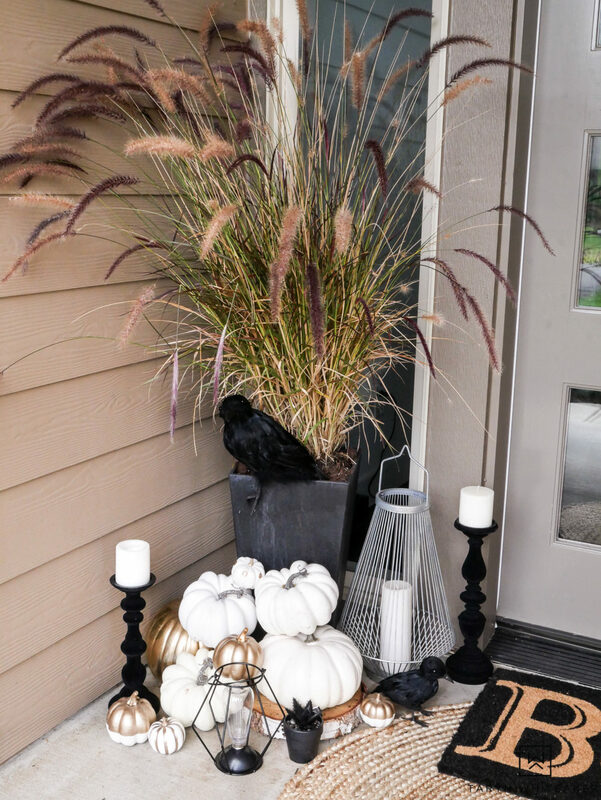 As you may notice on my porch, my main planters are the same, the tall grasses are the same, the wreath is actually the exact same one with a few minor adjustments, I kept a lot of my white pumpkins and just added some black and white porch decor and some creepy elements. 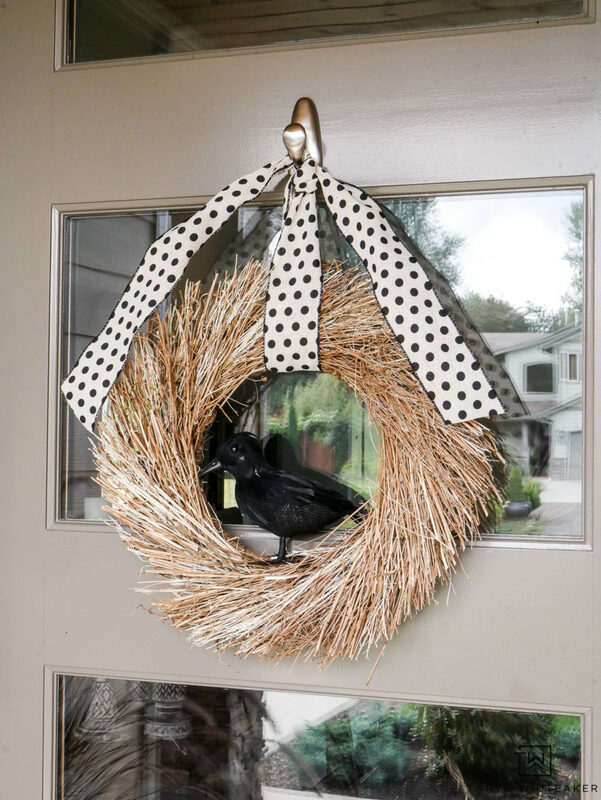 I purchased this Natural Wreath at JOANN Stores for my fall porch this year. 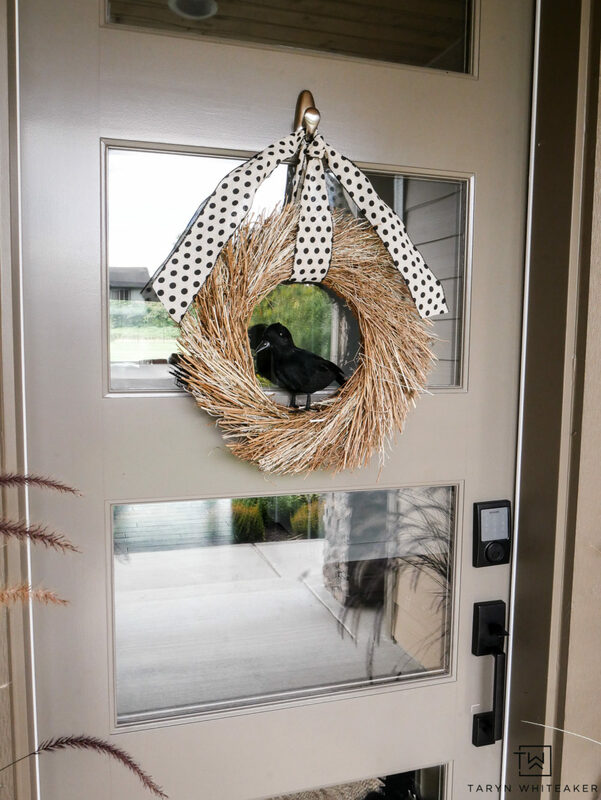 To give it more of a Halloween look, I added a Small Crow and some black polka-dot ribbon for a little pop of pattern. 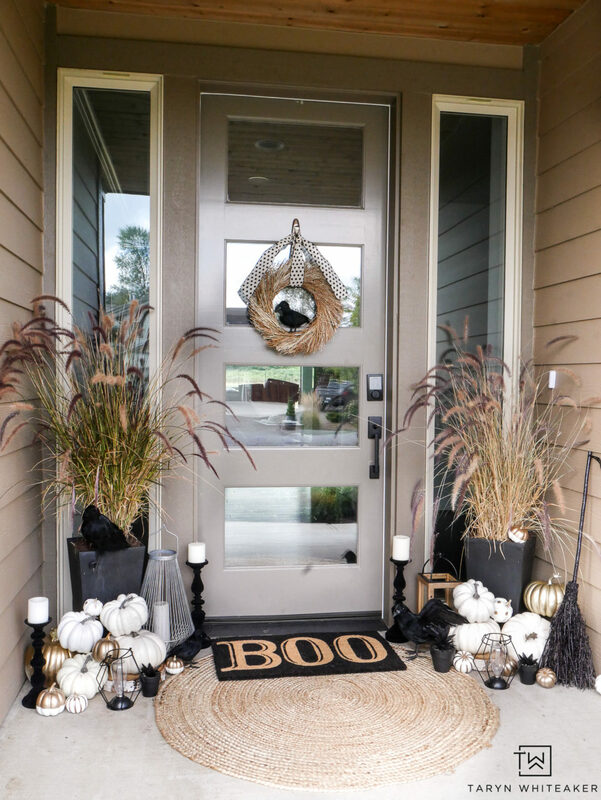 To me, Halloween can have a very eclectic look a mix of metals, black rod iron, rustic wood and silver. 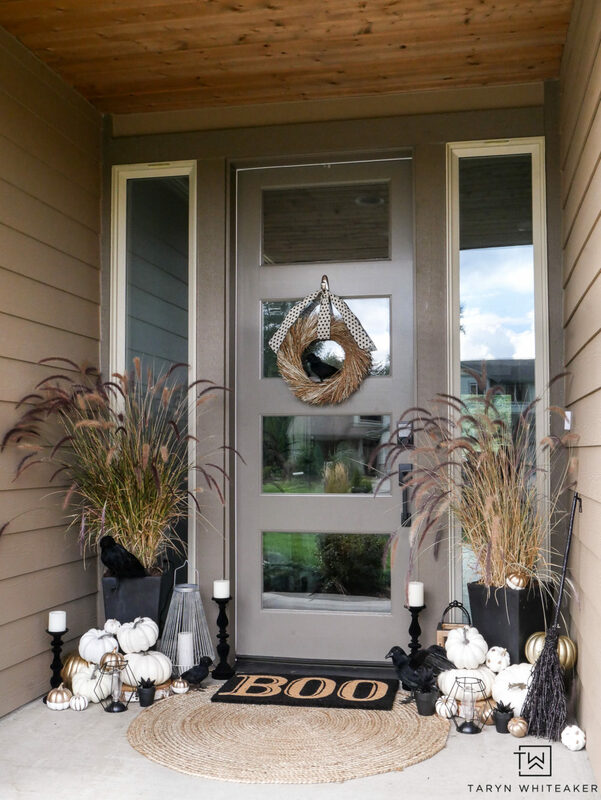 It’s a mix of metallics with a little spooky and lanterns seems to bring about the perfect dim ambiance. 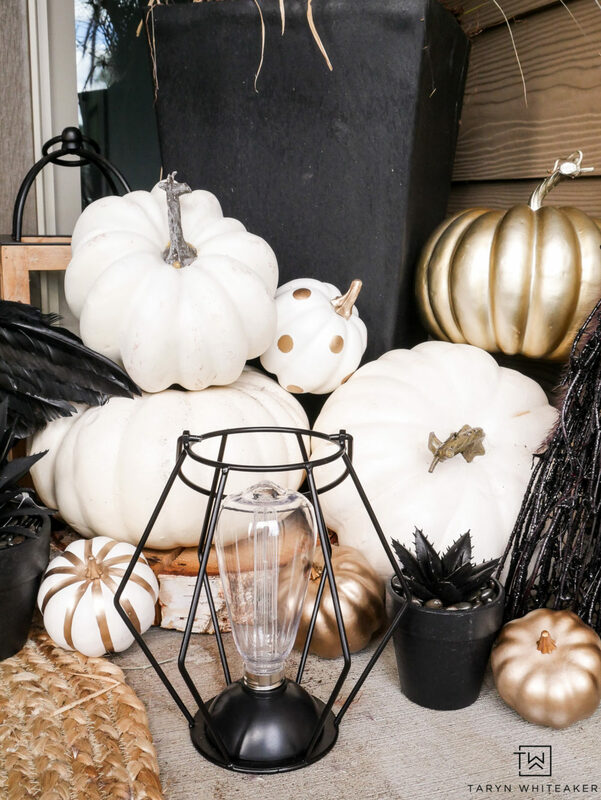 For either side of my porch, I found tons of great lanterns to work with at JOANN Stores. From wood ones to metal and these awesome Black Edison Bulk Lanterns. I also added these Black Candlesticks for a little more light features. I love how it turned out so much. 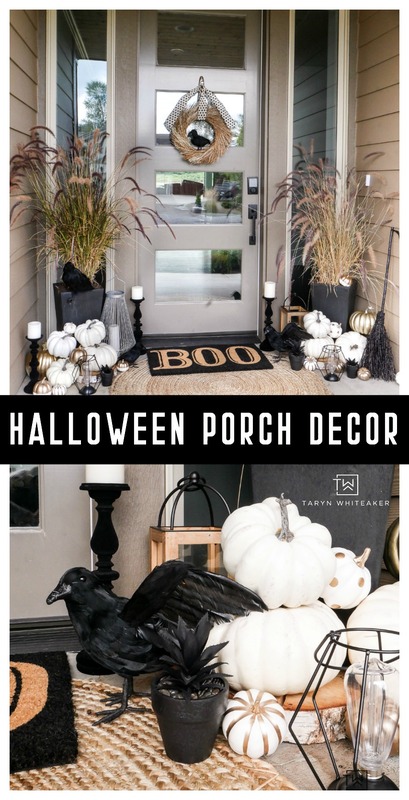 Most likely because black and white halloween porch decorations fit my style so well. Ha! I am pretty sure this will now be a regular occurrence around here! 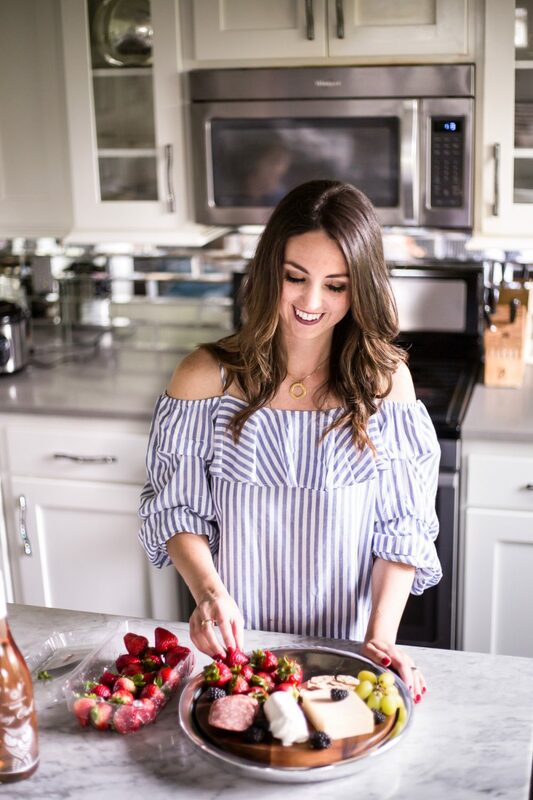 If you are looking for more summer decor and craft ides, check out JOANN on Instagram and Joann.com!